If you feel self-conscious about your crooked teeth, then you are not alone! I have met many patients who have mastered the art of the “closed lip smile” after years of practice, because they felt ashamed or embarrassed of crooked teeth. Twenty years ago if you wanted to straighten your teeth, you only had one option: conventional braces with metal brackets and unsightly wires. Yes, those metal wires strapped to your teeth often broke off and poke you in the gums. It’s normal these days to still see children and teens still enduring traditional braces, but there is now an exciting new option that appeals to many adults. 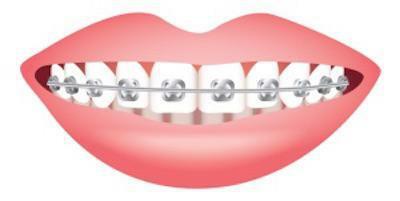 If you don’t want to have to flash metal braces at your next boardroom meeting, then I suggest Invisalign braces. The beauty of Invisalign is that they are virtually invisible to anyone who isn’t looking at your teeth with a magnifying glass. Most patients also find them much more comfortable and convenient than metal braces, especially because Invisalign braces can be removed to eat. Invisalign braces are clear acrylic trays custom molded to your teeth. You slip them over your teeth, and they gradually shift your teeth. The process is slow to limit pain and discomfort. Over the course of the treatment, which can take 2 to 24 months, you will “graduate” to new trays every two to three weeks as your teeth move to a new position. I have had a lot of success in designing Invisalign braces for adult clients who want to discreetly straighten their teeth whether the treatment is limited to just the front teeth or involves moving all the teeth. Clients love the results and appreciate that they never had a mouthful of metal! Give me a call if you’d like to find a San Francisco dentist who specializes in Invisalign braces.